Teachers bring value to our city so our city is bringing value to teachers. Learn more Get your Welcome Kit! Be sure to check out the Teachtown MKE 2013-14 Yearbook for all of our first-year accomplishments! The least we can do is greet you with a welcome package. The Greater Milwaukee Committee partners with area businesses and representatives to deliver the Key to the City (the “Welcome Kit”). Teachtown MKE educators, click here to check out everything the Key to the City provides (and details on how to redeem)! Please note: These opportunities are available only to individuals who have received their valid 2017-2018 Key to the City. Milwaukee Film: Milwaukee Film will be offering a limited number of complimentary tickets for Key to the City card holders to a specially selected film festival screening. Milwaukee Public Museum: Show your Key to the City card and matching photo ID to receive free individual admission to the Milwaukee Public Museum. Discovery World: Show your Key to the City card and matching photo ID for free individual admission to the Discovery World. 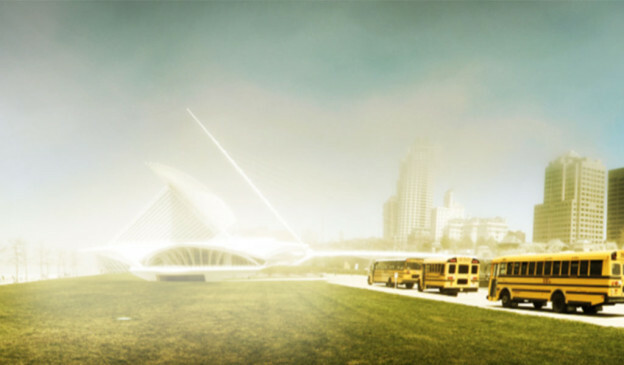 Milwaukee Art Museum: Show your Key to the City and matching photo ID for free general admission to the Milwaukee Art Museum. Want even more from the Museum? Join as a Family or Dual Member and get free admission for two adults and children 17 & under for 12 months. Members also get free access to MAM After Dark, invitations to Member Preview events, discounts on shopping/dining, and a 1-year subscription to the Member magazine. *Membership Discount for Key to the City holders: Take 20% off a 1-year Family or Dual Membership. Call 414-224-3284 for more details. Milwaukee Public Library: Present your Key to the City card to secure a special MPL Teacher Card. This card provides a range of special benefits to teachers. Historic Milwaukee, Inc.: Key to the City card holders are eligible for discounted first-year membership at the 25$ student rate. Membership includes free regularly scheduled walking tours as well as member discounts to special events, guide training classes, lectures, special tours and more. Stone Creek Coffee: Present your Key to the City card at any Stone Creek Coffee location for a 10% discount on a drink. Milwaukee Brewers: Key to the City card holders will receive offers for free pairs of tickets to designated 2017-2018 season games. Milwaukee Bucks: Key to the City card holders will receive an offer for a free pair of tickets to a designated 2017-2018 season game. Milwaukee Admirals: Key to the City card holders will receive an offer for free pairs of tickets to designated 2017-18 season games. Friends of Boerner Botanical Gardens: Use your Key to the City card for free entrance to the Boerner Botanical Gardens on two designated Key to the City days in 2018. Bublr Bikes: Key to the city holders will be able to redeem an extremely discounted annual Bublr bike pass. UWM Recreation/Klotsche Center: Key to the City holders can use their card for a discounted membership. MKE Marathon: Key to the city holders will have a chance to win free race registration, plus exciting discounts. Cycle Bar: Key to the City card holders will receive information on how to redeem 1 free class, along with other exciting discounts. The Key to the City card is made possible by the sponsorship of Associated Bank. Check out national discounts for educators! We’re home to thriving art, dining and music scenes, with a number of notable lifestyle awards. Get to know Milwaukee and see why you’ll feel right at home. Checkout out our Educator’s Toolkit to Discover Milwaukee Neighborhoods: including moving checklists, useful resources and links, lease signing tips and more! Plus, a free half hour neighborhood consultation by a Find My Spot neighborhood expert (phone or in-person). Where great teachers connect, great ideas are born. Where great ideas are born, outstanding education thrives. This is your chance to create something outstanding. Submit your biggest, wildest, most audacious idea for cultivating education in your school or classroom. If chosen, Teachtown MKE and our community will make your idea a reality. So think hard. Dream big. Let’s inspire the generation to come. Click here to learn more. This entry was posted on October 2, 2013 by teachtownmke. The Milwaukee area is filled with top tier professional development options for teachers looking to further their own educations. Education efforts are a big deal. Milwaukee and Teachtown MKE are making headlines. Are you interested in teaching in Milwaukee Public Schools? Apply or look into teacher vacancies. Would you like to volunteer inside a Milwaukee Public Schools classroom? Learn more about volunteer opportunities. Want to make a difference with Teach for America in Milwaukee? Apply today! Looking to join City Year Milwaukee? Learn more.